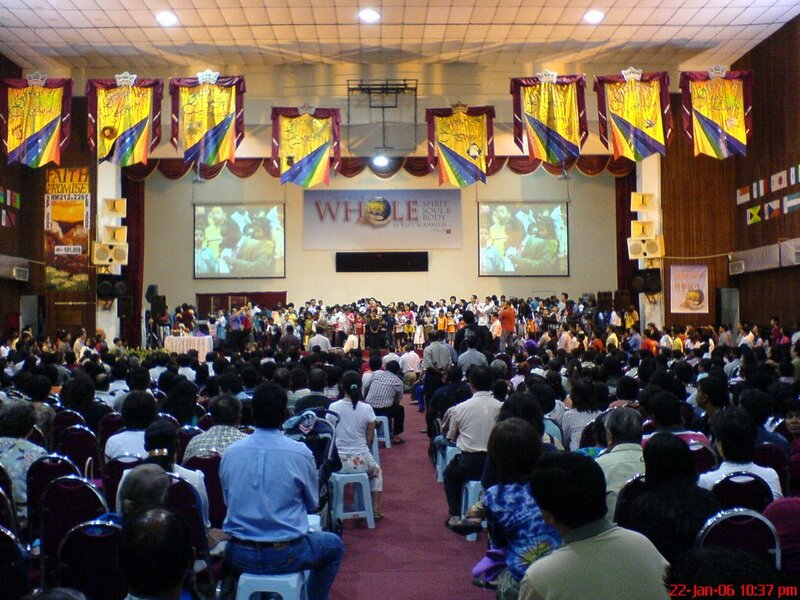 It was a big crowd at Grace Klang. My wife decided to bring along the parent-in-laws to witness firsthand what it is all about. Unfortunately my parent didn’t want to come saying they were tired and it was too far away. My mom is a Catholic and my dad an atheist weren’t very keen to come for any Christian rallies. Someday they might come to the Lord, but sadly without any convincing victory in my life, and it is difficult to persuade them to accept the grace of God. Though we were somewhat late to arrive as we had dinner before going there. I used the Kesas Highway instead of the Federal Highway as I wanted to see whether this route would be more convenient, faster and also to familiarize with this new direction. It was pretty smooth going till I reach the traffic light junction of Banting/Taman Botani Klang. The town council should do something about the quick change of traffic light as it caused quite a long queue. I had to wait quite a long while before crossing the junction. Such a loss of time considering that it was quite nice to drive on Kesas Highway with its three lanes and lesser traffic than Federal Highway. 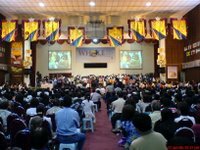 At Grace Klang, parking was difficult to find as many people had gone over there as they all would like to receive the grace and blessing from God through the anointed speaker. It was still ok, though we managed to find a seat not too far away from each other. 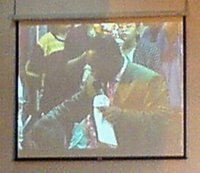 The anointing was strong especially so in the front when I had the opportunity to go up front for prayers. He could see seven Angels floating around dropping anointing and blessing all around the people. Things were revealed to Prophet Victor either as a vision in front of his eyes or as a voice in his ears. Names, background and dreams of people was revealed to him. He did not know these people but would mention their name when the Holy Spirit prompted him. Many prophesies were foretold, and some with caveats. A few was about missionary ministry, and many were about business opportunity. I guess the Kingdom of God cannot move if there is no outpouring of finance. No money, no good works can be carried out. As a step of faith, a prompting from the voice of God has requested many people who are in their own business to come forth and place a pledge of RM$2007 for business success in the millions for breakthrough by the year 2007. It is a big sum of money. And he mentioned that if anyone feels it is not able to pledge it can avoid doing so but will be missing out on the outpouring. I didn’t feel compelled to take this step of faith, though I have just started out website as a way out from my dead end job. I can’t foresee this website will generate the kind of millions that he envisioned. Still you never know how the hand of God will open new doors. I have up to Tuesday to take up this pledge. Ah, God works in mysterious ways. He has many secrets but those that He revealed to the people belong to them forever! It would have been nice to receive a word of prophesy or a confirmation as to the direction or decision that I should make. I will continue to pray and perhaps will start to fast as well and seek God. At this point without His instruction, I will have to go about it on my own alone. Hope the grace of God will help me out on this. There was also a smaller offering of RM80 requested, that was for new beginnings. As this value was smaller many people came forward and hope to get this blessing. I was not able to place anything there as I left my wallet in the car. Anyway, I had already dropped off my offering last Wednesday for business opportunity. Will see how it goes. 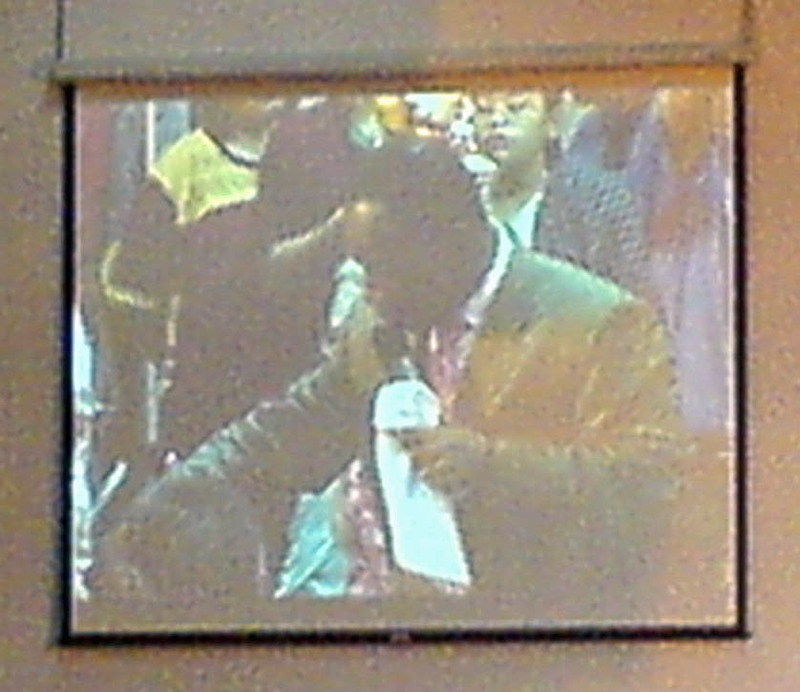 Next he prayed for the music ministry and finally and prayer and blessing for every attendee of this gathering. Before we left for home he also prayed for anointing and infusing of the power of Holy Spirit on the bottle of Olive oil that we brought that it can be used as a blessing in our homes. After dropping off my parent-in-laws, we proceeded home pretty much late and quite tired. Hope the grace of God will smile on us and bless all who attended. After this 50 hours of PPPP (praise, praying, prophesying, and preaching), I think I will need 50 hours of RRRR (rest, relaxation, restoration, and revival)! There is still this coming Tuesday and Wednesday meetings. Quite a busy period before Chinese New Year! Category: Christ/Spiritual, Church Events. Follow this entry's RSS 2.0 feed. Skip to the end and leave a response.